It seems that anything that has to do with baby boomers is big these days. More boomers are retiring, more are changing careers, and yes, more are moving. Why? Very simply, there are a lot of baby boomers. The Bipartisan Policy Center estimates that about 10.6 million to 11.3 million housing units will be vacated by boomers during the present decade and this number may rise even more now that we are seeing the recession slip away. By the next decade, the number of boomers moving out is expected to represent 14.4 to 15.0 million vacated housing units. So with the economy on the mend, older adults are facing some choices. · De-cluttering and updating electrical circuits. The older our loved one’s become, the older the residence is where they have always lived, and I offered some tips in an earlier posting about what to look for and how to update what needs updating (Ways to Make Elders’ Homes Safer). 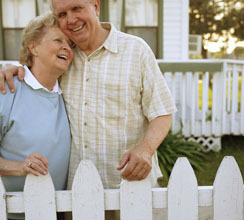 · Independent living — Is your older loved one just looking to downsize? If so, there are residential options like townhomes or condos with built-in support services for maintenance, cleaning, and more in some senior campuses. · Assisted living — If there are medical caregiving or other health — or mobility-related issues are addressed, it may be time to look for a facility where all of that is readily available as needed. · Skilled nursing — If your loved one has been living independently but has had a fall or a deterioration of health such that more extensive medical attention is needed, it may be time to look for skilled nursing. · Secure living — If the move is precipitated by the onset of dementia or Alzheimer’s, you may want the peace of mind that comes from facilities that will keep your loved one safe from wandering. · Continuum of care living — Many facilities across the United States are offering the equivalent of one-stop residential shopping. It is possible to initially buy an independent living resident with all the autonomy your loved one may wish. As needs change, the same people can help facilitate easy transitions to more support as required.